Consultants committed to growing the capability of our clients. The People Group is a national network of consultants committed to building the capacity of people, organizations, and our society. Seth Hufford, our founding partner, assembles a team based on client needs so that you get the best expertise for your unique situation. Seth combines his diverse experiences to build individual and organizational capacity. Working across the business, government, and nonprofit sectors, he has engaged diverse groups of people from community activists to business executives. Seth has facilitated teams both large and small to tackle complex challenges, address inter-personal dynamics, and produce results. Prior to founding The People Group, Seth managed global executive education programs at Carnegie Mellon University’s Business School, directed Coro’s Leadership New York program, and facilitated Leadership Pittsburgh’s Leadership Development Initiative. He gained valuable experience as chief of staff to an elected official, directing economic development at a Chamber of Commerce, and serving as a consultant with Booz Allen Hamilton. Seth holds a Master of Public Policy and Management from the University of Pittsburgh and a Bachelor of Arts from Dickinson College. Dorie has 20 years of experience as an arts management and special events professional. She creatively marries the art and the science of event management through a thoughtful process of: 1) conceptualization 2) orchestration and 3) evaluation. She is also the principal of Taylor Made Consulting. Dorie combines her arts management education from Carnegie Mellon University and years of eclectic work experience with nationally recognized institutions to assist clients in making smart event choices. She has conducted events for premiere arts, media, and educational organizations such as ABC Television, ESSENCE Magazine, The Metropolitan Museum of Art, The Pittsburgh Cultural Trust, A+ Schools, Remake Learning, Carnegie Museum of Art, and Quantum Theatre, among others. Working with adventurous clients allows Dorie to plan unique special events that include friend and fundraisers, film and fan festivals, interactive marketing and audience development campaigns, and black-tie dinners with event budgets ranging from $10,000 - $500,000. Dorie looks forward to the distinctiveness of every event and the opportunity to work with creative minds to plan a successful occasion or campaign befitting the organization’s mission and vision. Ivette’s work focuses on urban design, consensus driven community engagement, planning and facilitation. She works with public and private clients to actively engage the communities they serve through an inclusive, transparent planning process that is respectful of all the parties involved. She is also founder of Mongalo-Winston Consulting. She specializes in complex, multi-faceted projects that entail a diversity of issues and require extensive community interface and a broad range of stakeholders. Ivette is focused on helping clients achieve success through the interface of urban design and authentic community engagement. Her training as an architect, as well as subsequent graduate work at the University of Miami, led her to work with Urban Design Associates (UDA). During twelve years with UDA, her leadership contributed to the effectiveness of widespread public processes and to the success of highly collaborative efforts among design professionals, public officials, and participating public/private partnerships in distinctly different places. These projects shared a design process rooted in collaboration, transparency, and inclusion. In particular, her experience working on transforming public housing into mixed-income communities fuels her commitment to neighborhoods experiencing disinvestment. This commitment now grounds her practice and informs her work as a designer, facilitator and community mediator. Mary consults and coaches organizations and individuals to identify their values, amplify their voice, and design a more inclusive vision. As a certified professional life coach, international leadership trainer, and dialogue facilitator, Mary has written curriculum and led trainings on leadership, power and privilege in the workplace, dismantling structural racism, and applying improv to everyday micro-aggressions for students and communities in Pittsburgh, Atlanta, Seattle, and Zimbabwe. Her process focuses on client relationships that are vulnerable, honest, collaborative, bold, and considerate. Prior to consulting, Mary was the Director of Training and Learning Development for Coro Pittsburgh. There she trained and coached over 100 participants on leadership development using adaptive leadership as a framework with a concentration on growing and developing women leaders. She is also an AmeriCorps Alum and One Young World Ambassador. Mary was raised in Stone Mountain, GA and earned a Bachelor of Arts in Sociology and a minor in Ethics from Emory University and is a certified Professional Coach (PC) through an International Coach Federation-accredited Coaching Program at Duquesne University. Alec has 20 years experience working in global development and the media sector, including stints at Unicef, The Jewish Federations of North America, JCC Association, Pencils of Promise, and Warner Bros. Records. He was raised in Pittsburgh but has spent significant time living in Los Angeles, New York City, and Asia. Alec is also the founder and executive director of NextGen:Pgh, an innovative community and economic development organization that enhances the quality of life in Pittsburgh and beyond. He earned a BA at The University of Pittsburgh and an MPA from Columbia University's School of International and Public Affairs. Suzanne is a master facilitator and Professional Certified Coach whose past career as a group and family psychotherapist, and training as an emotionally intelligent executive coach and organization development consultant provide background as she skillfully facilitates the engagement of members of communities across differences, morale/ climate concerns, emotionally charged situations in organizations, and in situations where there is conflict and disconnection between members of groups. Suzanne has traveled the world and been responsible for the planning of retreat experiences for groups from around the world in different parts of the world. She is experienced and highly skilled in facilitating difficult conversations across diversity. She holds a Master’s of Education degree in Counseling Psychology from the University of Pittsburgh, Bachelor of Arts from Duquesne University, and certifications in Organization Development, Executive Coaching, and Mediation. Kaye is an organization development consultant, a practitioner of transformational change, a master facilitator/trainer, and an executive coach. For each engagement and work assignment, Kaye keeps her eye on each level of system: individual, group, team and organization, knowing that sustainable change, the best project and business results, and the best work relationships come from the integration and alignment of the work throughout the system. Kaye’s current work engagements are focused in four areas: transformational cultural change, diversity, equity and inclusion, leadership and team development, and executive development through coaching. 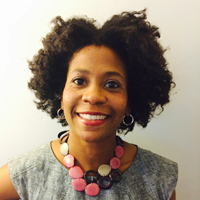 Her work engagements have been in a variety of cultural contexts including US, Asia, Africa, Caribbean, and Europe. Some of the organizations that she has worked with are: Air Products, MTV Networks, Annie E. Casey Foundation, Open Society, Viacom, Nickelodeon, US Justice Department, BP, SEIU and NIH. Prior to starting her own firm, Kaye was employed as an OD Consultant at ExxonMobil Corporation and as a Training Consultant at Manufacturers Hanover Trust Company. Kaye holds a B.A. from Hampton U, an M.S. from Columbia U, and an M.B.A. from NYU. In addition, she completed the Certificate Program in Organization and Systems Development at the Gestalt Institute of Cleveland. She holds the ICF designation of Professional Certified Coach and is thrilled to co-lead a cutting-edge, extremely timely, Coaching and Race Workshop. Antoine is a results-oriented Organization Development professional with over 15 years of experience in Organization Effectiveness, Talent Management, Leadership and Workforce Development, and Diversity, Equity and Inclusion in several organizations such as Boeing, Clorox, Americold and MTA New York City Transit and as an independent consultant. Antoine has led large scale change and process improvement initiatives, and consulted to senior leaders on business imperative projects across the Americas in aerospace, consumer packaged goods, manufacturing, logistics, public transportation, and non-profits. He is a Certified Executive Coach known for guiding executives, high potentials and teams through managing change and career development in corporate, public and non-profit arenas. Antoine received his Master of Science Degree in Organization Development from the American University/NTL Program and his BS in Management from St. John’s University. He lives in Acworth, Georgia where he enjoys spending time with his family as well as mentoring youth as a member of 100 Black Men. Kathia is an international educator, researcher, consultant and coach committed to facilitate transformational processes that lead to cultural healing and social innovation. She is professor at Saybrook University in the Department of Leadership and Management and a faculty member in the Cross Sector Leadership Program at the Presidio Institute of San Francisco. She has taught leadership, organizational development and strategy in the sustainability oriented MBAs of Presidio Graduate School (San Francisco), Bainbridge Graduate Institute (Seattle), Dominican University of California (San Francisco), EGADE Business School (Mexico), and Universidad del Medio Ambiente (Mexico). Kathia is a certified coach in the Leadership Circle ProfileTM and is the co-founder of Syntony Quest, co-founder of Global Leadership Lab, founding partner of The Journey Network, and has her private consulting and coaching practice, Magenta Wisdom. Her interdisciplinary research and publications spans the fields of systems thinking, organizational change, leadership, and innovation. She is engaged in action-research on the design of new business and organizational models that support authentic leadership and collaboration for social impact. Through her understanding of adult learning, group creativity, mindfulness and dialogue, Kathia has facilitated numerous learning and design processes in business, academic, nonprofit and community contexts in North America, Latin America and Europe and has coached hundreds of socio-ecological entrepreneurs seeking to blend business, ethical responsibility and higher purpose. Kathia was born and raised in Monterrey, Mexico where she earned a BA in Marketing and a M.Ed. in Cognitive Development and came to the US as a Fulbright Scholar to earn her PhD in Human Science with specialization in Social and Institutional Change at Saybrook University. Amy integrates diversity and inclusion within corporate, government, philanthropic, and non-profit workplaces to drive long-term business success. She is a master facilitator who consults on strategy, unconscious bias, productive workplace culture, employee engagement, Millennial leadership, inclusive interview practices, and implementing theory-to-practice. Amy is also the founder and CEO of InclusionVentures. Amy brings 20 years of experience in the diversity and inclusion field to enable people and organizations to contribute, thrive, and grow. She served as Executive Director of the International Institute for Sustained Dialogue. She founded PULSE, a neuroscience-based leadership retreat to catalyze inclusive talent and establish an employer-ready pipeline to infuse the same principles into organization culture. At ICF International, Amy developed and delivered leadership, inclusion, and manager trainings for federal agencies including NASA and the Office of the Director of National Intelligence.Amy earned an M.S. in Public Policy and Management at Carnegie Mellon’s Heinz School, and founded the Center for Race Relations at Duke University. Peggy draws from broad experiences and her inquisitive nature to facilitate change. She believes organizations thrive when people have open minds, seek diverse perspectives, and try new approaches in solving complex challenges. Throughout her career, Peggy has worked directly with people at all levels including boards, CEOs, managers and front line employees to design and lead change. Peggy is also founder of Strategic Retreats, a leadership and organization development firm that produces and facilitates retreats, workshops, and conferences. Peggy held senior roles in organization development, human resources, compensation & benefits, fashion merchandising, sales and customer service. Her strength is combining ideas and methods from business, education, and nonprofits to grow revenue, increase operating efficiencies, and maintain high levels of employee satisfaction. She earned her bachelor's degree in consumer service and business from Penn State University and certifications in negotiations, design thinking, personal and organizational change processes, from Harvard, Stanford, Center for Creative Leadership, Marshall Goldsmith Partners, Lominger Limited, and the Walter V. Clark organization. Tim is a team and leadership development specialist. He has over 15 years of experience designing and implementing corporate and university training programs ranging from 10-person team-building sessions to 120-person leadership programs. Tim is also the principal consultant at Emerging Leaders Institute. He has a deep passion to develop people who will transform the world around them. He has a Master of Science of Organizational Leadership as well as certifications in various OD tools and instruments. Tim has coached people at various levels of organizations - from CEOs to middle managers - with a focus on developing the potential of people. He has a knack for creative design and the execution of organizational learning experiences that are both memorable and effective in transferring learning to peoples’ hearts and minds. Tim also has the ability to uncover the truth about the culture of an organization that illuminates the way to healthy leadership development. In addition to highly creative means of program design, he has taught in more traditional settings at the collegiate level and other adult environments for over 12 years.